The Haywood Middle School held it 2019 National Junior Beta Club meeting on Tuesday, January 29, in the school cafeteria. 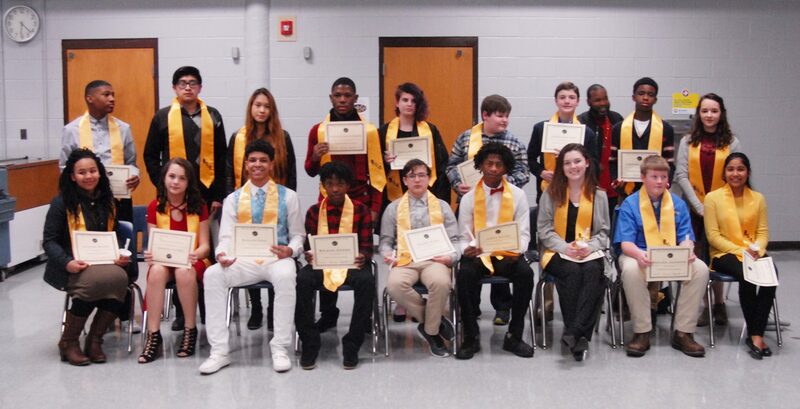 New members inducted are Jazmyne Beard, Elijah Bond, Amaya Gray, Brison Green, Avery King, James Haley, Kayleigh Hayes, Skyler Johnson, Tyler Poole, Erick Ramiez, Macela Sanchez, Kaitlyn Sirven, Caleb Stowe, Emilee Stowe, Johnathan Tosh and Codeo Walker. Directing the program were Sponsors Rachel Dreyer and Mary Jane Williams, Principal Michelle Tillman, Assistant Principals Tim Seymour and Grover Harwell. 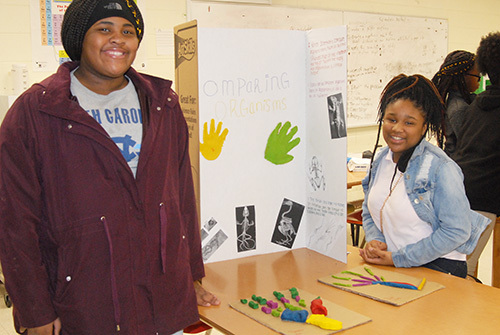 Also participating were Beta Club officers: president, Molly Nichols; vice president, Jeb Banks; secretary, Tavica Pugh, Treasurer, Sadaja Jeter, and Reporter, Abbey Berry, Cinyah Dotson, Reed Sullivan, Johnathan Tosh, and Rikkila Taylor. Also recognized were sixth graders who earned membership into the Principal’s Club: Ilie Aguillon, Yeify Martinez Aguirre, Jordan Connor, Christopher Romero Cruz, Aiden Hawkins, Dasha Meadows, Symone Muex, D’Asia Musgrave, D’Asia Musgrave, Rich Nichols, Devonte ONeal, Aerie Parnel, Hayden Qualls, Japheth Qualls, Japheth Sanchez, Kloey Simpson, Weldon Smith, and Jade Taylor. A reception followed in the library.